With 30 years of experience in the ER, Dr. Lesslie knows that nurses, doctors, friends, and even strangers can be "angels" in disguise. 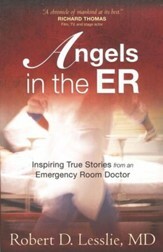 Here he shares the stories of hope, beauty, love, warning, and faith that are usually hidden behind hospital walls. Gain a window into some of life's wonders, mysteries, joys, and struggles! 240 pages, softcover from Harvest. Combined sales of over 250,000 copies demonstrate the terrific impact Robert Lesslies first three books have had on readers. 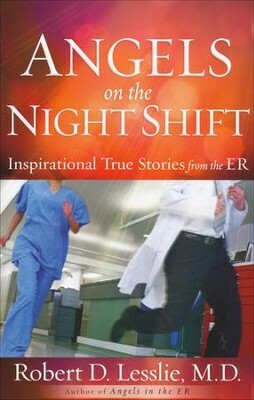 In Angels on the Night Shift, the fourth book based on his 30 years experience in the ER, Dr. Lesslie draws open the curtain on the lives, the dramas, and the close human connections hidden away behind hospital wallsevents that, day and night, reveal nurses, doctors, patients, friends, even strangers to be angels in disguise. Readers will gain a window on some of lifes greatest wonders and mysteries as they share intimate joys and struggles of people just like them. 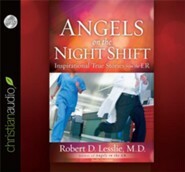 Bestselling author Dr. Robert Lesslie is a physician with more than 30 years of experience in fast-paced, intense ER environments. 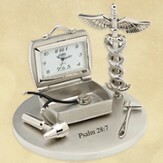 He is now the co-owner and medical director of two urgent-care facilities. He has written many books (including Angels in the ERover 200,000 copies sold) as well as newspaper and magazine columns and human-interest stories. He and his wife, Barbara, live in South Carolina. 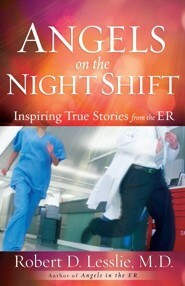 I'm the author/artist and I want to review Angels on the Night Shift: Inspiring True Stories from the ER.